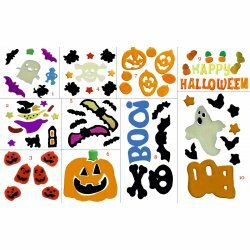 Add some spooky surprises to your Halloween decorations this year using these awesome window decoration gel arts. 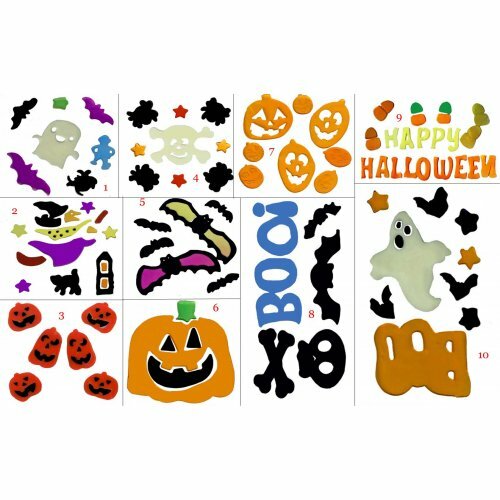 These gel arts are easy to use and are movable amongst any smooth, clean surface. Great for windows, these gel arts help spice up any house, car, or school. You will receive 6 random sets from the 10 sets depicted in the picture.